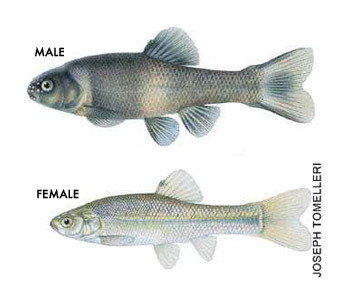 Fathead minnows were used to test the feminizing effects of sewage effluent. The endocrine system is a marvel of subtlety and complexity. Through the life of the animal (human or otherwise), waves of hormones control reproduction, development, behavior, even other hormones. What happens when this natural system gets bollixed up? We’ve known for decades that endocrine disruptors sourced in pesticides and plastics can operate at the parts-per-billion level. Disruptors in common body-care products ranging from birth-control pills to shampoo are washing down toilets and drains, then causing deformations in the animals that live downstream. 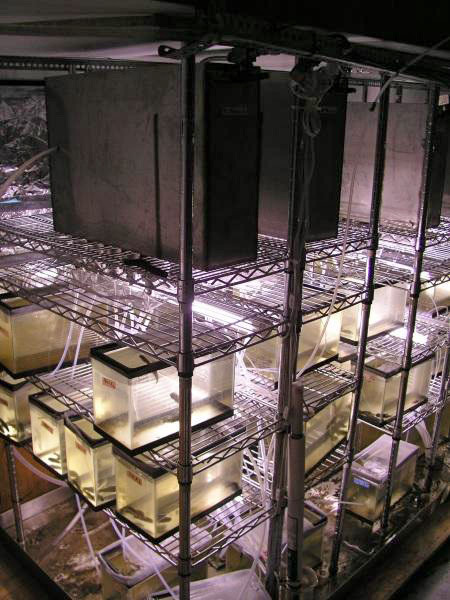 In 2006, for example, David Norris of the University of Colorado caged fathead minnows in the outflow from Boulder’s wastewater treatment plant. Within seven days, adult males were “feminized,” showing female anatomy and behavior. Water leaving the treatment plant contained a regular toiletful of hormonally active crud, including ethinylestradiol, a chemical used in most contraceptives, and natural estrogens made and excreted by people. Other endocrine disruptors in the water included two common plastic compounds, bisphenyl A and phthalates. Detergents and pesticides had contributed (is that the right word?) a further group of endocrine suspects called nonylphenols. A mobile fish lab on Boulder Creek, Colorado, helped researchers assess the effects of endocrine-disrupting pollutants on fish. 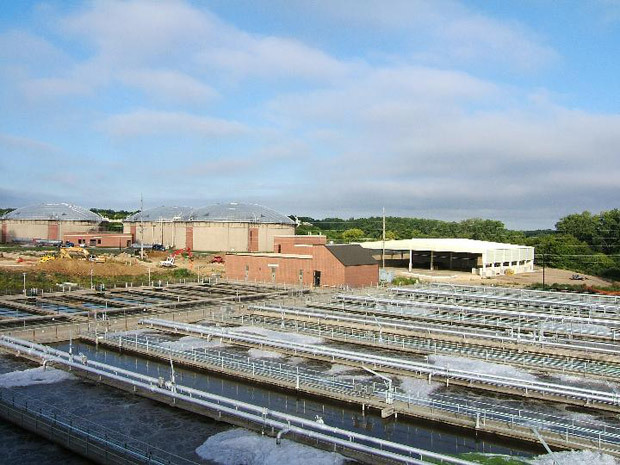 Aeration tanks at the Madison, Wis.. sewerage district are part of a multi-step process that detoxifies sewage and breaks down many of its noxious components. Birth control pills are one source of endocrine disruptors in our waterways, but naturally excreted hormones also play a role. The activated sludge process did transfer some unwanted hormone to the sludge, but Hemming says the bacteria likely ate some of the troublesome compounds. “I think there is a pretty good chance of destruction from the microbial community in the activated sludge; it would not all go into the solids.” In Boulder, the chemists are not ready to release the numbers, but “preliminary chemistry shows that the levels of endocrine disruptors in the effluent have gone way down,” Norris says. “When you are dealing with nanograms per liter [parts per trillion, by weight], you have to be really careful.” Most of the endocrine disruptors in the Boulder sewer system are artificial, Norris says, coming from plastics, solvents and drugs. 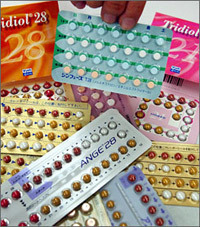 About 5 percent comes from birth control pills, and about 10 percent is natural, human estrogen.